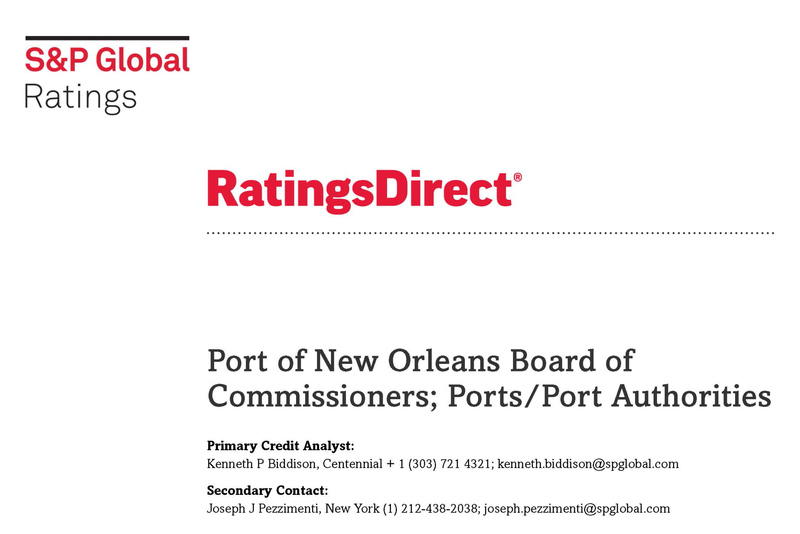 Port NOLA’s President and CEO Brandy D. Christian attributes the success to the collective and collaborative effort by the Board of Port Commissioners and entire organization to manage debt effectively and efficiently, while continuing to grow business opportunities. This upgrade should positively impact the cost of future borrowing as the Port invests in infrastructure and continues to expand. A copy of the full S&P report can be read here.